This compact USB-C dock connects your MacBook or USB-C laptop to an HDMI monitor, wired internet, and USB peripherals such a hard drive, keyboard, or mouse. 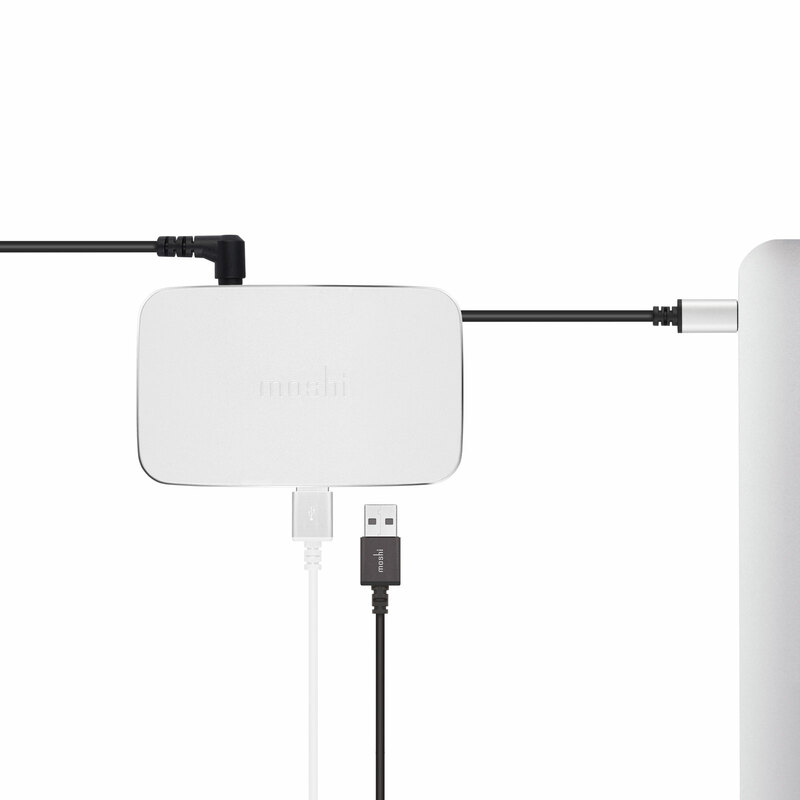 Small and powerful, Moshi's Symbus is a compact USB-C dock that turns your laptop into a desktop system with a single cable. 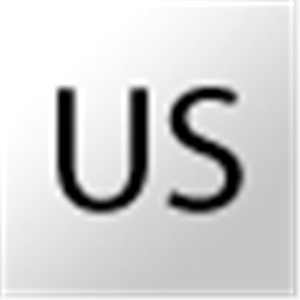 Symbus connects your MacBook or USB-C laptop to an HDMI monitor, wired internet, and USB peripherals such as a keyboard, mouse or external storage. 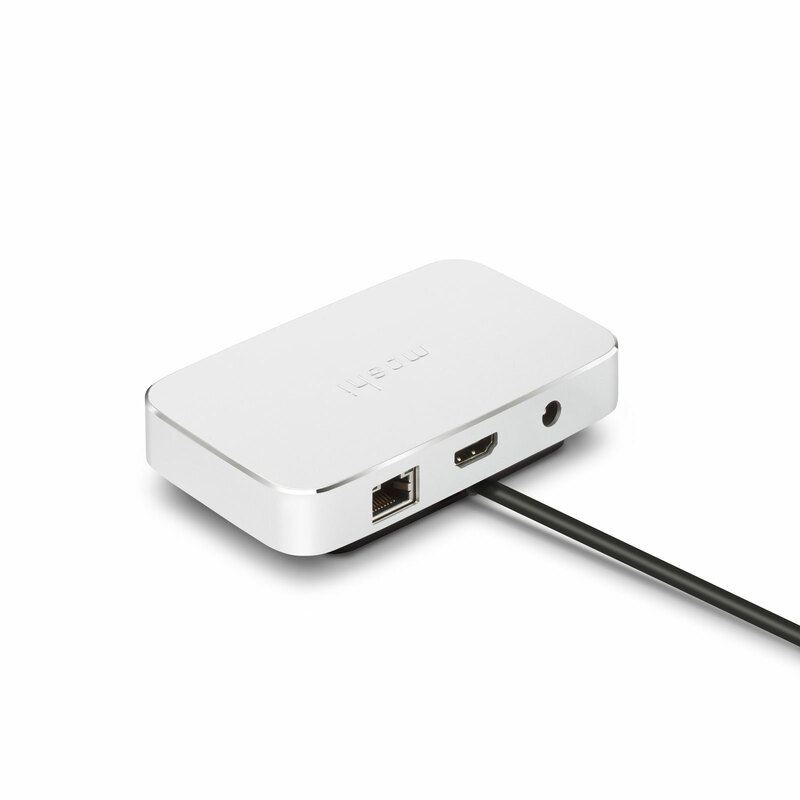 Equipped with the latest generation USB-C chips, the dock supports crystal-clear 4K video output as well as digital surround sound to HDMI-equipped displays, AV receivers, or projectors. 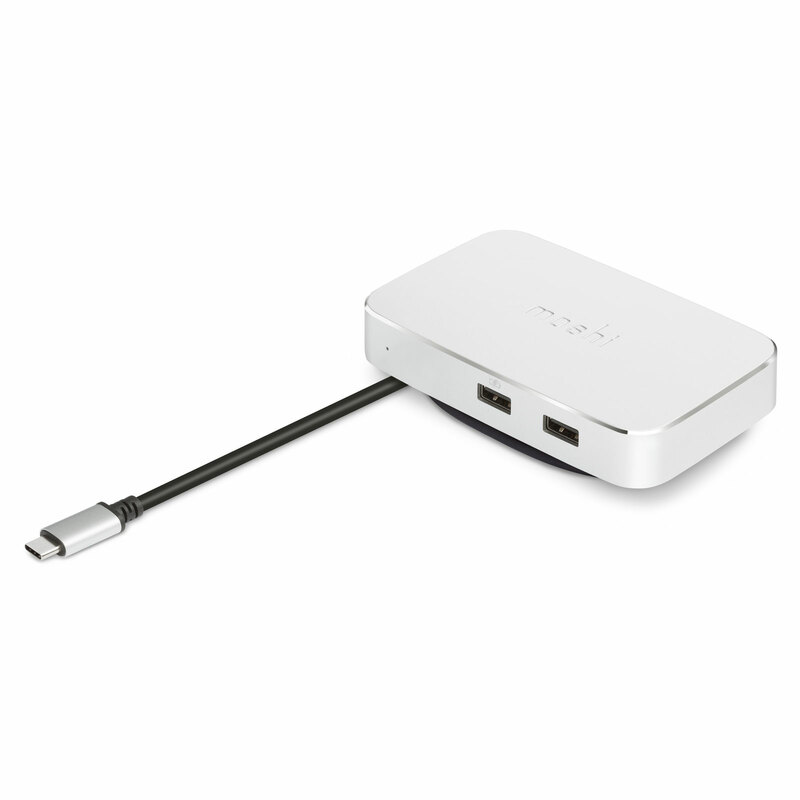 It supports fast-charging of your USB-C laptop and features our proprietary Smart LED for at-a-glance charging status. 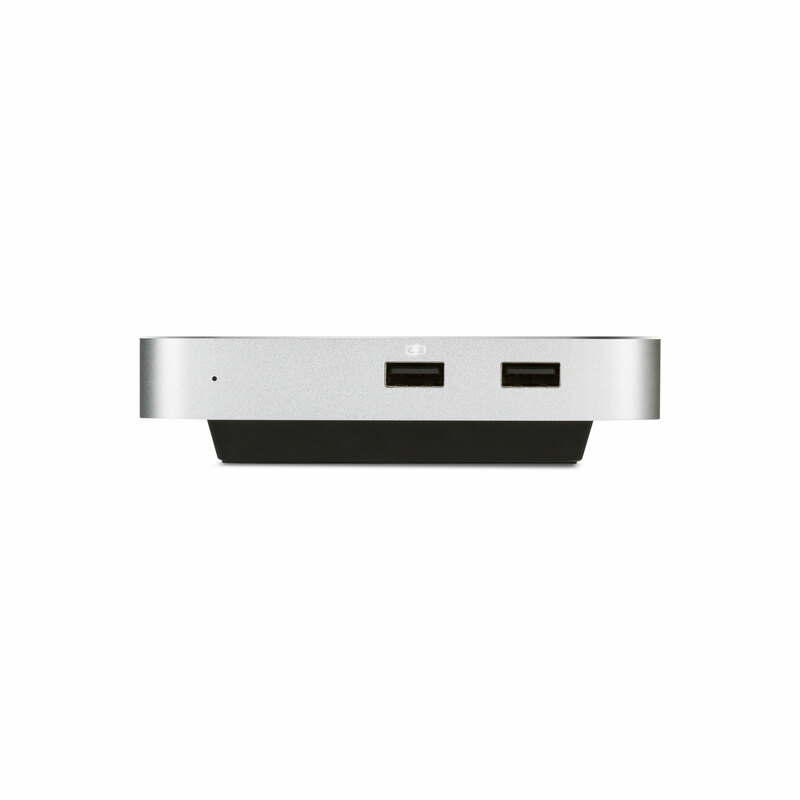 In addition to its advanced functionality, this USB-C dock is encased in aluminum. This makes Symbus the ideal USB-C solution to keep your workspace both organized and stylish. *Apple SuperDrive is not compatible with Symbus. 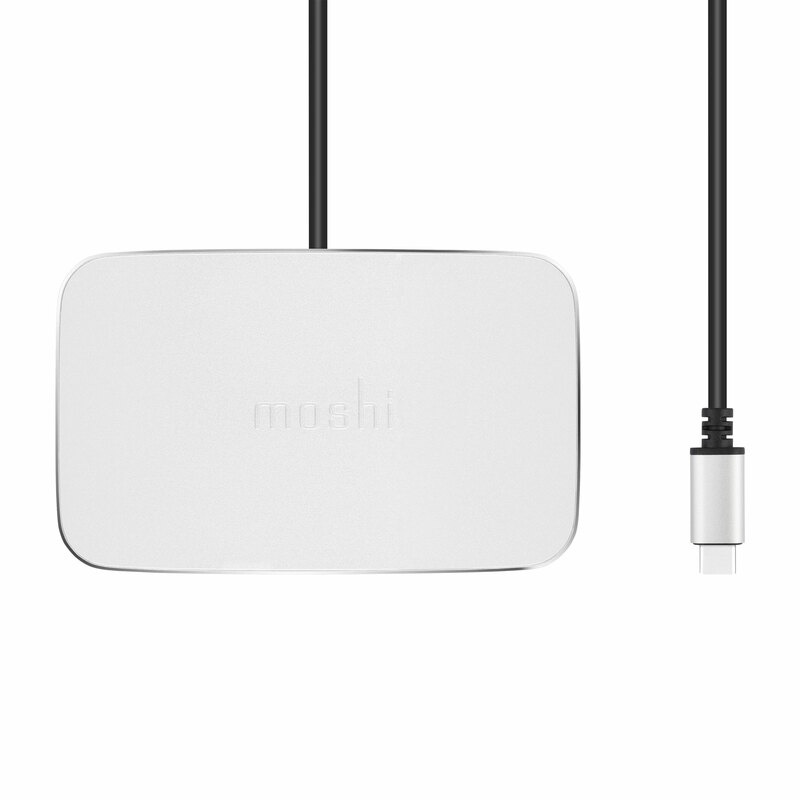 Control your Moshi USB-C dock with this easy-to-use USB-C Dock Utility. 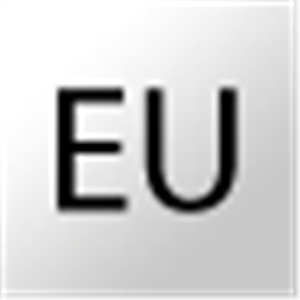 No need to open Finder, now you can quickly eject all connected USB devices from your macOS menu bar. 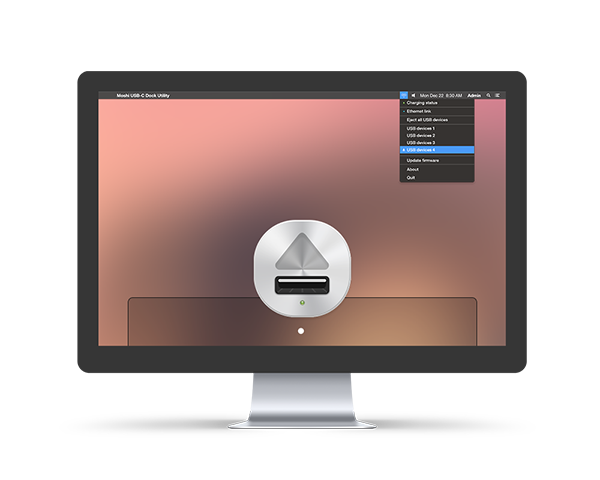 The Dock Utility also indicates Ethernet status and lets you update the firmware on any Moshi USB-C Dock such as Symbus.